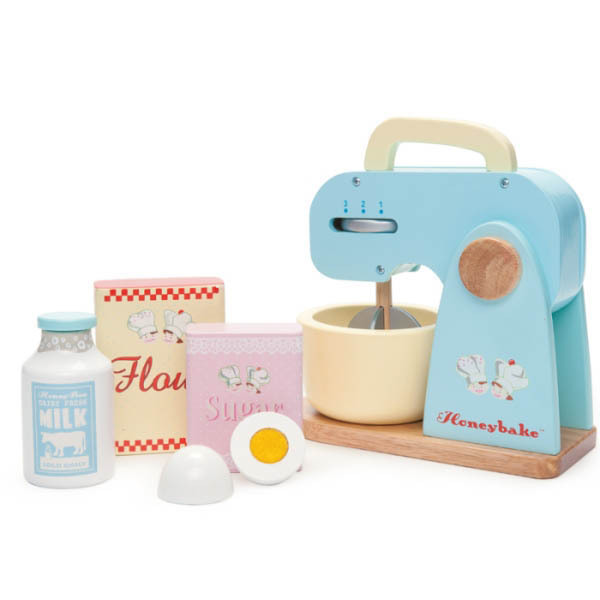 Everyone little child loves the smell of freshly baked cookies. 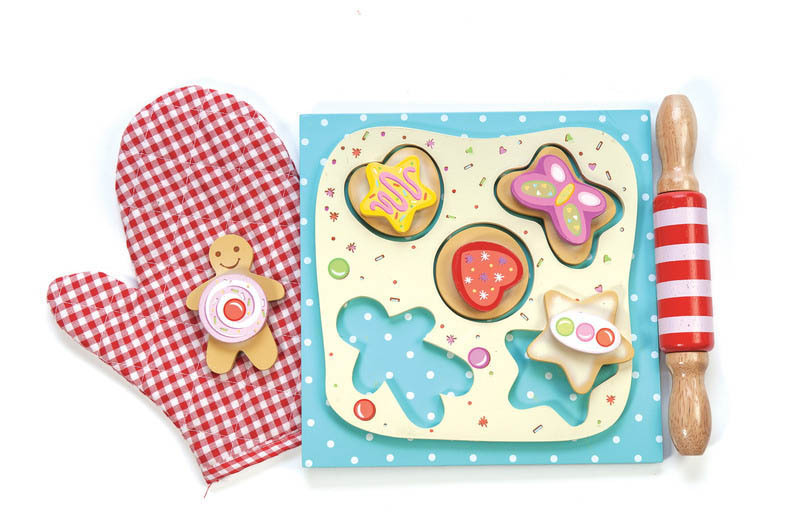 This fun and educational wooden cookie set will encourage your children's interest in cooking. 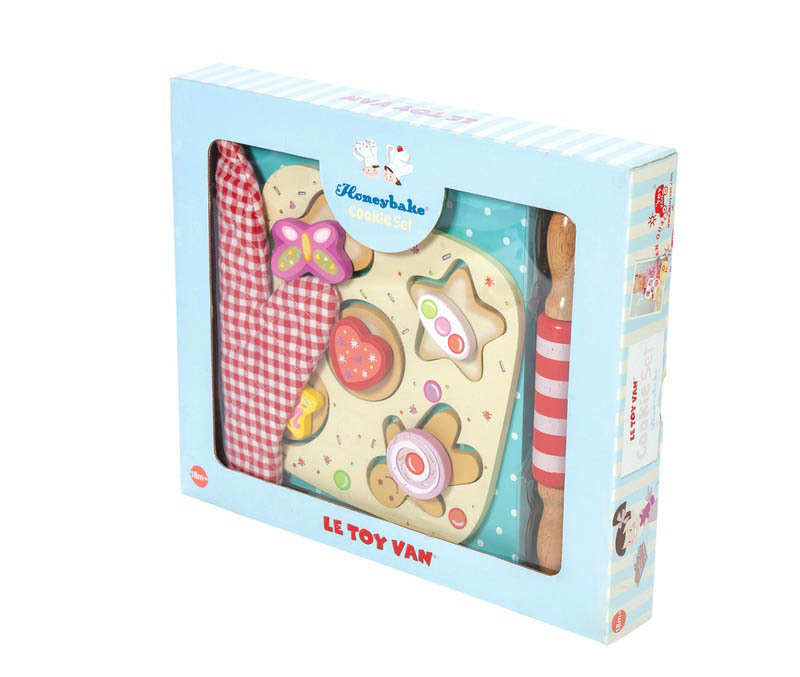 They can prepare the dough with the rolling pin, match the cookies with the baseboard shapes and then pop it in a Le Toy Van wooden oven (not included). 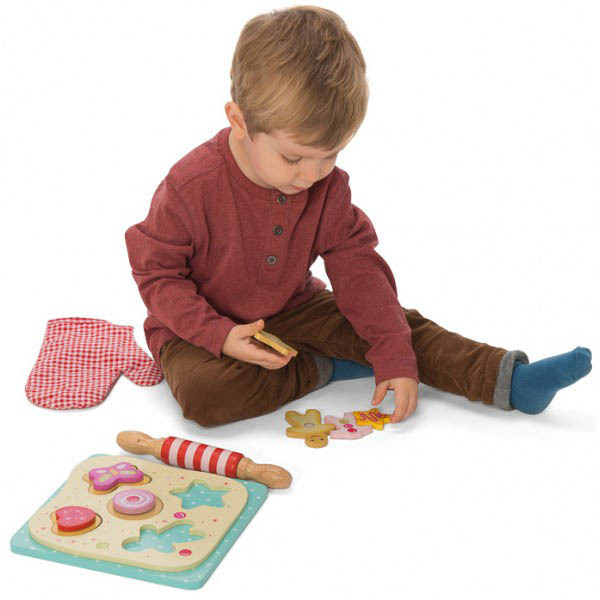 Watch out for the Gingerbread Man! It might try to run away before you have a chance to eat it up. 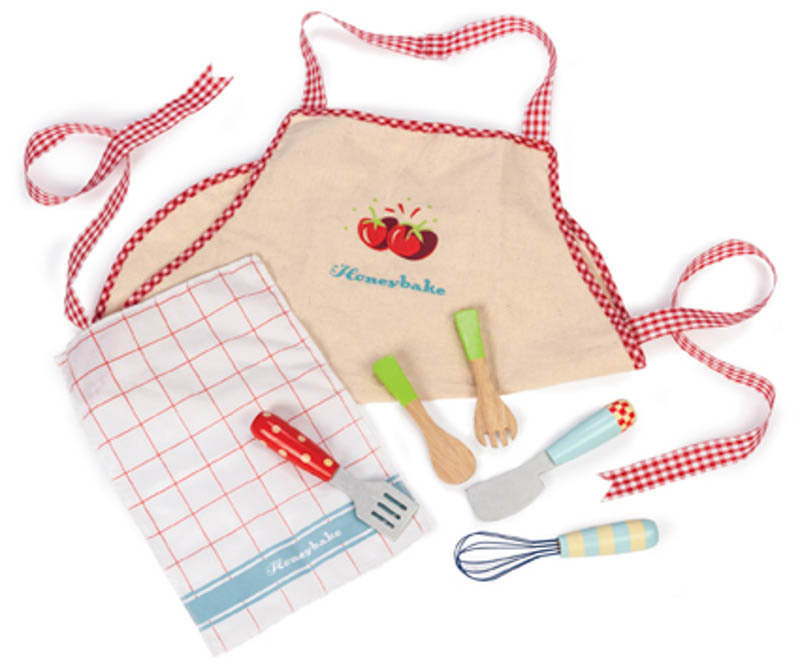 This beautiful set includes five cookies, toppings, rolling pin, oven mitt and spotted tray.